A Russian-Ukrainian row in Crimea deepens as a group called the Student Brotherhood attempts to “publically liberate” several lighthouses. ­The lighthouses are not on the list of facilities which belong to Russia’s Black Sea Fleet, the students said on Monday. 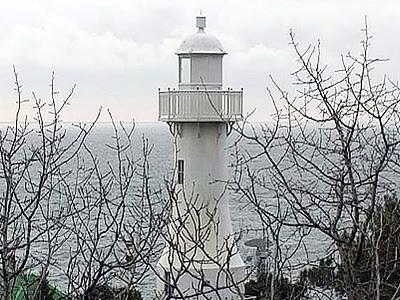 They started “the action of liberation” with the Sarych lighthouse on the Crimean Peninsula. The “Brotherhood” had urged Russia to implement the ruling of a Ukrainian court to withdrawal what they call “the illegally seized lighthouses.” They are going to set up an activist tent camp until “full liberation” of the disputed lighthouses is achieved. Ukraine says the navigation equipment in Crimea is its property, while Russia maintains it leased the beacons until 2017. Protesters had previously attempted to storm and seize the lighthouse in Sarych back in 2006. At that time, the commanders of the Russian fleet based in Sevastopol, 30 kilometers from the Sarych facility, said the only way to settle the conflict were talks. This Sunday, Russian marines detained eight student activists who had tried to penetrate a military facility on Sarych. Oleg Yatsenko, the head of the Brotherhood, was among those detained. Under the former President Viktor Yushchenko, the organization allegedly coordinated its activities with the Ukrainian Foreign Ministry, demanding the return of the beacons. Many think the issue is being raised again because of the recent failure of talks between the Russian and Ukrainian president regarding a new gas deal. But before the talks, the Crimean Economic Court on August 2 upheld the previous ruling of a Ukrainian court that transferred the lighthouses serving the Black Sea Fleet to Ukraine. Bailiffs were then ordered to start the transfer, which included two RS-10 radio-navigation stations in Yevpatoria and the Tarkhankut lighthouse. 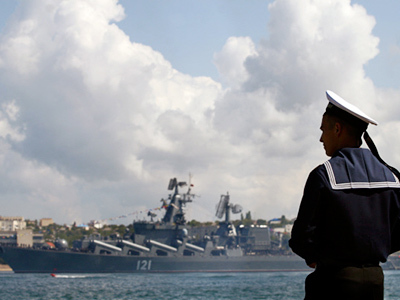 Moscow and Kiev agreed in April 2010 to extend the presence of the Russian fleet on the Crimea peninsula until 2042. The accord envisions an option that will allow Moscow to lease the base through 2047.